Sani-Care | Pro Chem, Inc.
SANI-CARE is a highly effective liquid sanitizing agent that will destroy 99.99% of pathogenic microorganisms like staphylococcus and salmonella in just seconds. 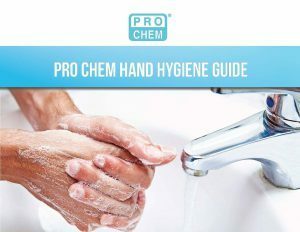 It easily penetrates hard-to-reach areas that harbor bacteria between fingers and around fingernails. Because it dries so quickly, hand toweling is not necessary. Nondrying to skin. 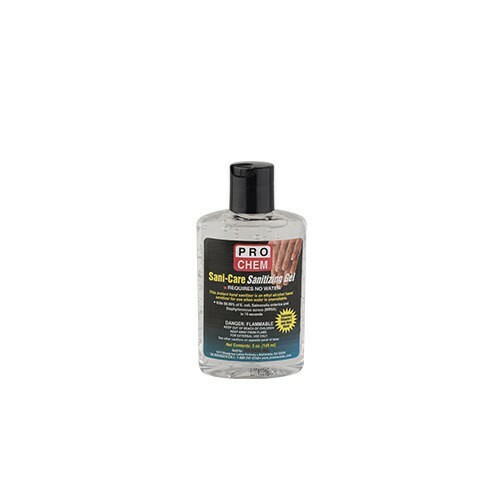 This sanitizer is an effective aid in preventing the spread of bacteria, germs, and viruses.